Spiel 2014 is upon us with over 600 games releasing at the show. There’s a ton of games that are vying for our attention and hard earned money. With that in mind, Rob has gone through all of them and has come up with a list of games that he finds interesting and explains why. New for this list is the new This Board Game Life patented “Want Meter” (TM)(R)(U)(K) ranking system that shows us how much of a desire there is for the game. Is it something that MUST be had right away? Or can we wait? Next up Rob goes through a whole bunch of the listener submissions for the recent Doomtown: Reloaded contest. It was a lot of fun to hear what other people were looking forward to in the coming months. Without further delay, lets announce the winner of the contest! Congratulations to BGG user zenchristo for winning AEG’s Doomtown: Reloaded!!!!!!!!!!!! This was a lot of fun to run this contest and the entries were a blast to read on the show. Will have to do this again soon! 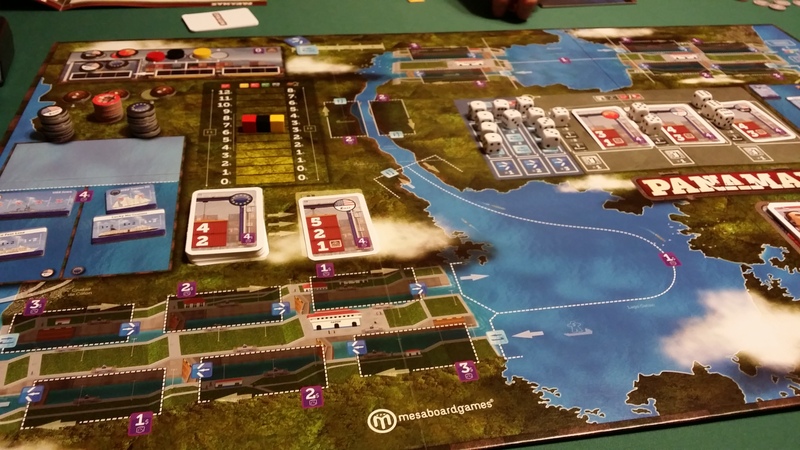 Last up for this show is a quick look at the game Panamax. Panamax was released in line with the 100th anniversary/birthday of the Panama canal. This game has gotten a lot of great attention over the past few month. But, what does Rob think of it? Lets find out! After that, we wrap the show. Thanks for listening everyone! Catch you next show! Wooo that’s me! Thanks for running the contest Rob!